Thorough assessment to ensure your physio has a clear understanding of your previous injuries, lifestyle and goals. 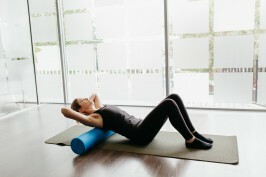 During this appointment we outline the Physio On Miller principles of Pilates, repertoire of exercises and provide you with a tailored home exercise program. You will receive a custom Pilates booklet. Individually tailored exercise program that combines the use of the reformer, traps table and chair. This class is ideal for clients who desire an individually supervised program with a variety of exercises specifically developed for their needs and goals. Individually tailored exercise program using the reformer, traps table and chair. This class is ideal for couples or friends who prefer to train together. Small group class on the reformer focusing on core strength, flexibility, cardio and whole body strengthening utilising the spring resistance of the reformer. Small group floor based exercise class focusing on core strength, flexibility and postural alignment. These classes use a mixture of small props such as Fit balls, Pilates rings, toning balls, small weights and theraband. Create a Better You with 2 classes per week (Reformer &/or Mat group classes) for $65 per week. 3 month contract then month to month after that. Suspend or cancel your membership with 14 days notice after the first 3 months. This membership will direct debit $130 every 2 weeks. Create the Best You with Unlimited Reformer & Mat group classes for $90 per week. That’s only $15 per class if you come to 6 classes a week! This membership will direct debit $180 every 2 weeks.